Line numbers are shown as the specified format. The way to specify is the same as that for the format property. 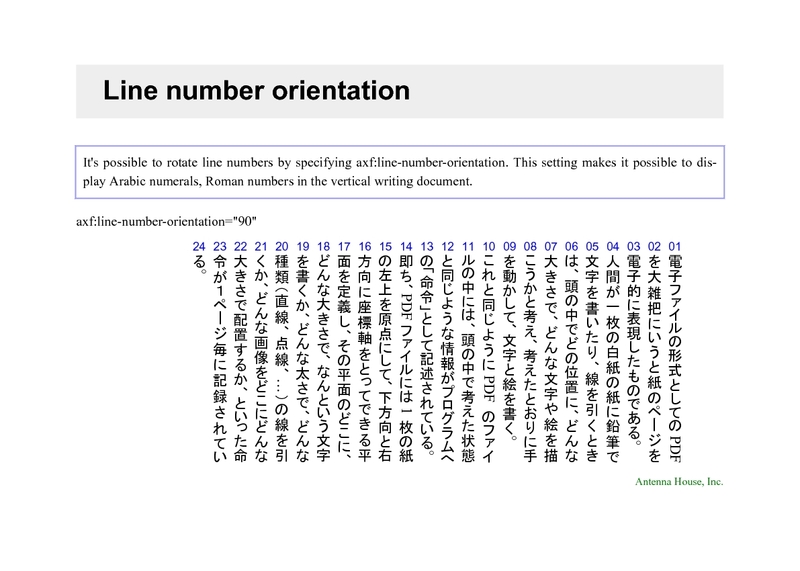 It's possible to rotate line numbers by specifying axf:line-number-orientation. This setting makes it possible to display Arabic numerals, Roman numbers in the vertical writing document.